Kistler-Patterson Funeral Home has been serving the Clay City & Olnet area families for years. We are honored to be a part of the rich history of this community and plan to be a part of it for many years to come. Summers Funeral Home was founded in 1947 by Howard “Dutch” Summers in Olney at the intersection of Cherry and Fair Streets. 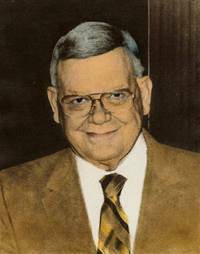 Dutch continued actively in the funeral profession until his death in 1987. 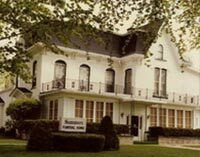 Randy Kistler became the owner and operator of the funeral home in 1986 and the funeral home was then renamed Summers-Kistler. Soon it became apparent that age and use of the building had made it necessary to replace it with a new and modern facility. In 1990, a new, handicapped-accessible facility was built at the corner of Fair and Elm Streets to accommodate more people and larger visitations. 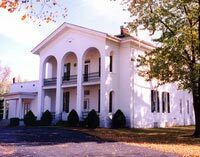 In order to serve the surrounding community, the funeral homes in Noble, Clay City and Flora became part of Summers-Kistler Funeral Homes in 1992. After many years of deterioration and expense, the original Clay City funeral home was demolished in 2009. Summers-Kistler was proud to provide the Clay City community with a new, handicapped-accessible building at the same location.